A porcelain vase of baluster shape, the lobed sides rising upwards from a splayed, petal shaped base, curving in towards the shoulder and surmounted by a flaring neck with a lobed rim. 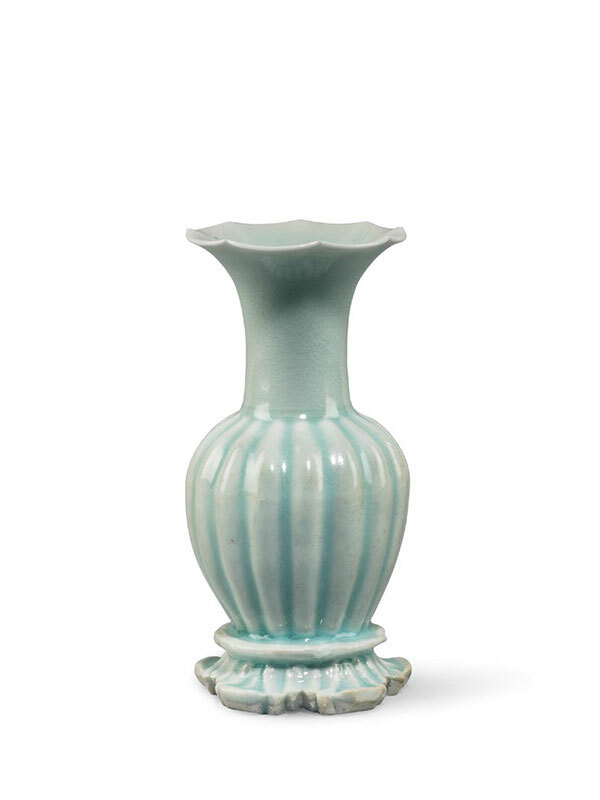 The vase is covered in a pale bluish glaze, which pools in the grooves to an aquamarine tone. The base is unglazed, exposing the white porcelain body underneath and has some characteristic firing marks.